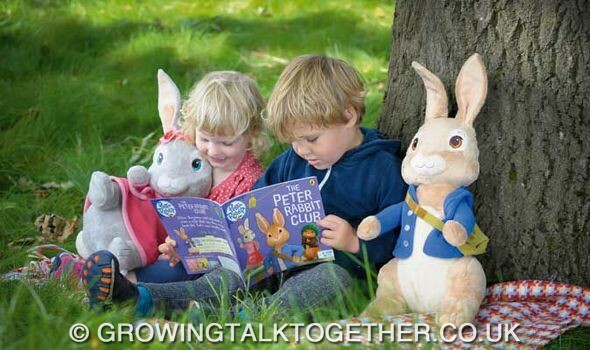 Where oh where is Peter Rabbit? 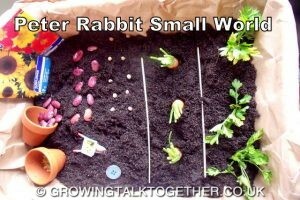 Peter Rabbit inspired activities! 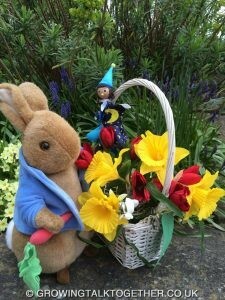 Following Easter Bunny & Easter Egg Hunt activities the children continued to enjoy Hide & Seek Games with much chatter about rabbits including Peter Rabbit. 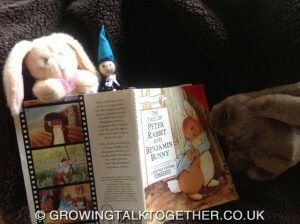 Some of the children have received the Peter Rabbit book as their first Imagination Library Book. 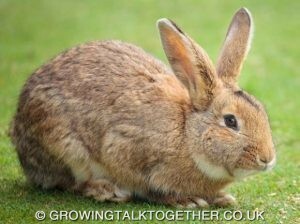 Some of the children have rabbits as pets so we chatted about the food they like and where they live and whether they live in a hutch a cage or a burrow! Where oh Where oh Where is Peter? We sang our “Where is Mikey” song and changed the words to Peter! 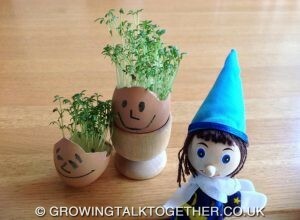 We have started sowing seeds in the garden and all the children have been successfully growing cress in egg shells! More egg chatter! 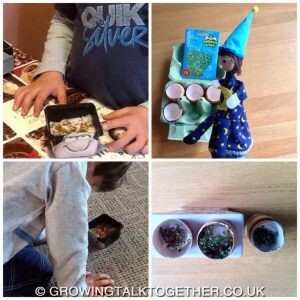 The cress grows so quickly which has really engaged the children, leading to lots of chatter about growing and planting seeds and the need to keep the birds away from the seeds outside. 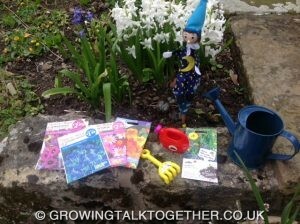 This natuarlly lead to chat about Scarecrows, and the scarecrow in the Peter Rabbit Book made out of Peter’s clothes! 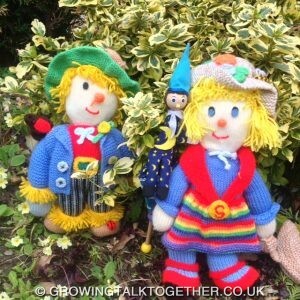 Many of the children know the song “Dingle Dangle Scarecrow” but few knew what a scarecrow was. We have now made our own scarecrows to put outside in the garden, we have been scarecrows and had fun singing the song enjoying the actions, particularly the jumping up! 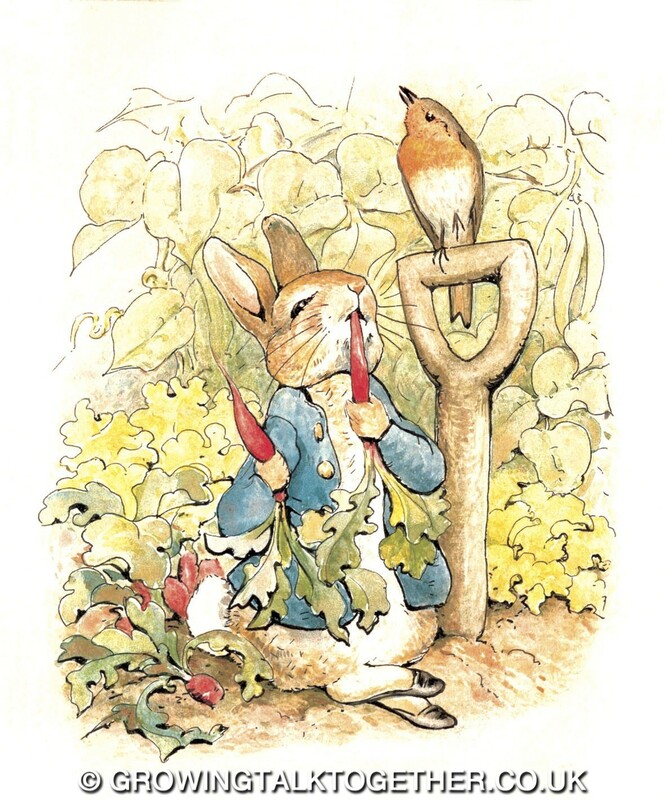 Then we talked about Peter eating too many of the carrots in Mr McGregor’s garden, he was very poorly, nearly as poorly as Humpty Dumpty had been ! So we called for the Vet to come quick, quick, quick !! 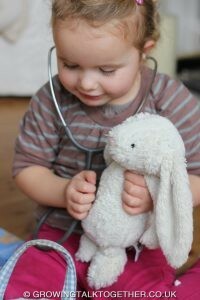 Now the Doctors has been changed to a Vets! 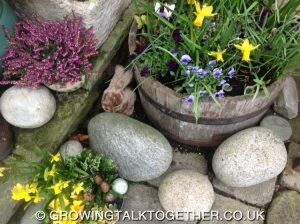 Humpty Dumpty Play & Egg Chatter! 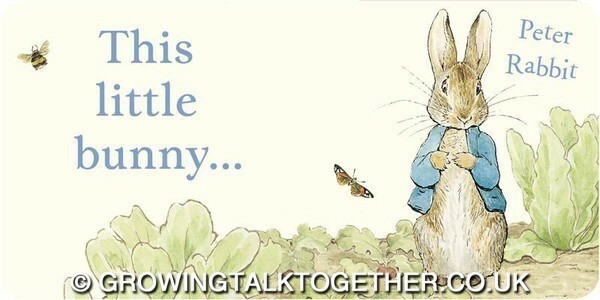 © 2019 Growing Talk Together. All Rights Reserved.